Changing Relations of Welfare is concerned with the complexities of family relations and practices in the recent past and how these have been imagined, addressed or elided in present policy making. It uses rich and varied sources to offer an innovative approach to the analysis of meanings afforded to the family in different policy, legal and welfare contexts in Sweden, Denmark and Britain. 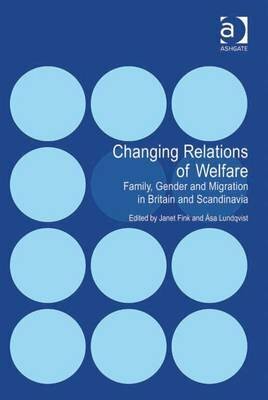 This book considers how debates about responsibility, obligation and rights have been gendered in social policy and welfare practice, whilst also focusing upon the intersections of family, gender, race and ethnicity and the different ways in which legislation and policy in northern Europe have been used to regulate not only immigration but also the lives of migrant families. Presenting a historically informed, comparative analysis of the shifting dynamics in the relationship between family and the state, this volume offers new pathways for exploring questions of change and continuity.